Readers of Greater Nashville House & Home & Garden™ have cast their votes for their 2017 favorites—their favorite designers, builders, landscapers, and “little known” stores, just to name a few. 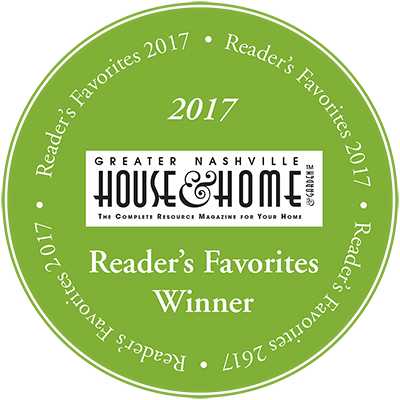 If you’re looking for a service provider and aren’t sure who to choose, try one of our winners—they’ve received the stamp of approval from readers of the Nashville House & Home & Garden™. Second Place – Roscoe Brown, Inc.
Second Place – Grove Park Constr. First Place – Jack Herr Design Associates Inc.
Second Place – Franklin American Mort. Second Place – Dale Inc.
Next PostNext Ask A Designer: What Will Bring Style to My New Home?